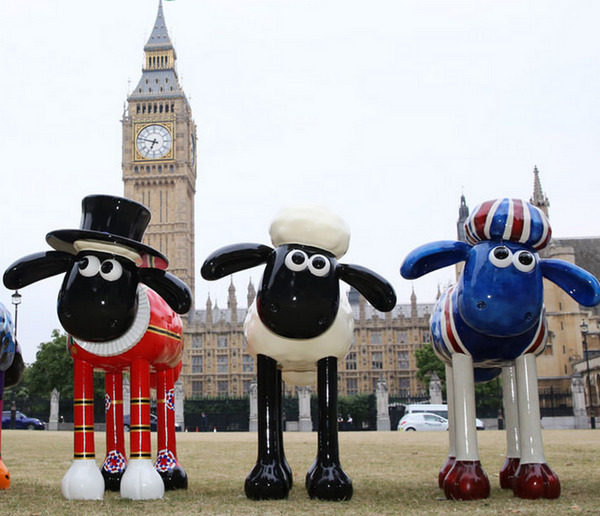 Over 50 giant sculptures of Shaun the Sheep created by artists, celebrities and designers will be placed in iconic locations and beautiful green spaces across central London. Much as we did with the book benches last year, we will be following a trail of Shaun the sheep. Each walk will last c. 90 mins with an option for post walk drinks available. These walks are intended to be pleasant and light with plenty of opportunity for taking photos and chatting along the way. Bring your camera and your friends and join the fun! Starts at Tooley Street exit of London Bridge. Cross the pedestrian crossing and we will be there by the London Bridge Experience entrance. Starts outside Palladium Theatre, nearest tube Oxford Circus.